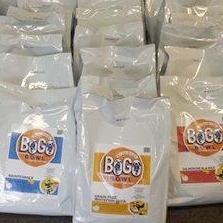 BOGO Bowl was the first company founded on the principles of creating a super premium pet food with social consciousness to provide the same quality to pets in need. 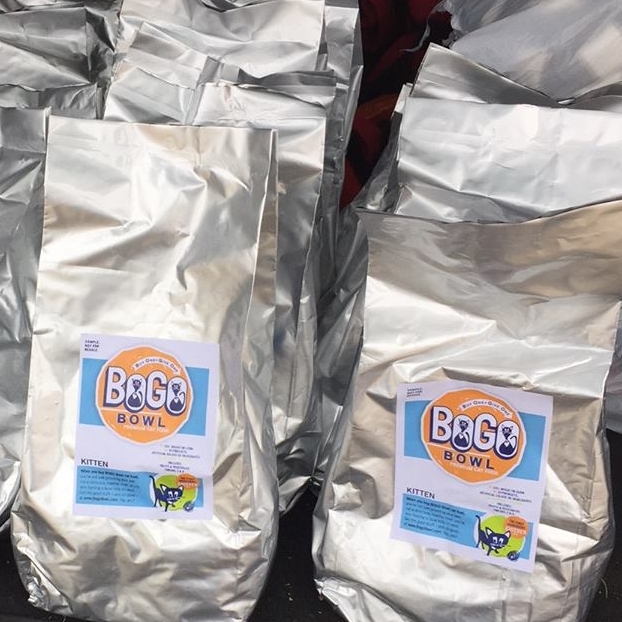 For every bag of our dog or cat food you buy, we donate a bag to the animal shelter, rescue or foster program, or pet pantry of your choice. You might think animal shelters already get all the food they need donated - nope. You probably think if we’re giving away a second bag of the same quality, the food must be low quality - nope again. Just like other high quality pet food brands, protein is our first ingredient. Our formulas include fruits and vegetables. We don’t use byproducts. There are no artificial colors or flavors. We don’t use corn, wheat or soy as filler. Every ingredient is the highest quality. Our formulas include probiotics for good digestion, and Omegas 3 and 6 for healthy skin and coat. All but Maintenance include glucosamine and chondroitin for healthy joints. And if you don't want to change your pet's food, you can also choose to just donate pet food through our website. Visit bogobowl.com.